Star Wars is one of the most beloved blockbuster series of all time. The space opera epic has been on our screens since 1977, and the new generation of films means that the series has never been more popular. In perfect timing for Halloween, this year Rubies and Jedi-Robe.com are offering 5 lucky winners the chance to get their hands on an officially licenced family costume bundle, worth £200 overall. Featuring a deluxe Darth Vader set and an adult Stormtrooper outfit, as well as two children’s costumes (Leia and Finn), this bundle will ensure that you and your family will be winning every best-dressed award this season. 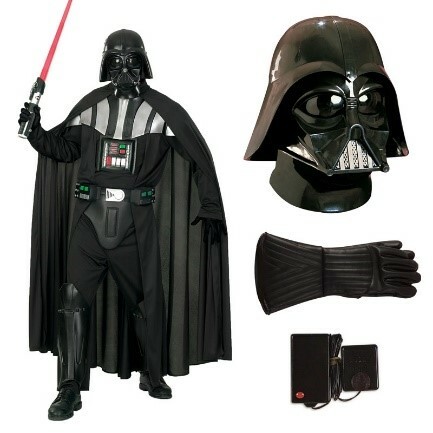 Adult Darth Vader – This fully accessorised outfit is perfect for Halloween. It includes a deluxe costume with all the trimmings. The helmet mask is built with rigid gloss black plastic, and comes equipped with tinted see-through lenses. It is supplied in 2 separate pieces: an injection molded plastic faceplate, and an over-helmet piece. The gloves are leather-look. Please note: shoes, lightsabre and batteries are not included. Included: Darth Vader costume, two-piece helmet, black gauntlets and a breathing device. Sizing: large. Chest is approximately 42 – 46 inches, waist is 34 – 36 inches. 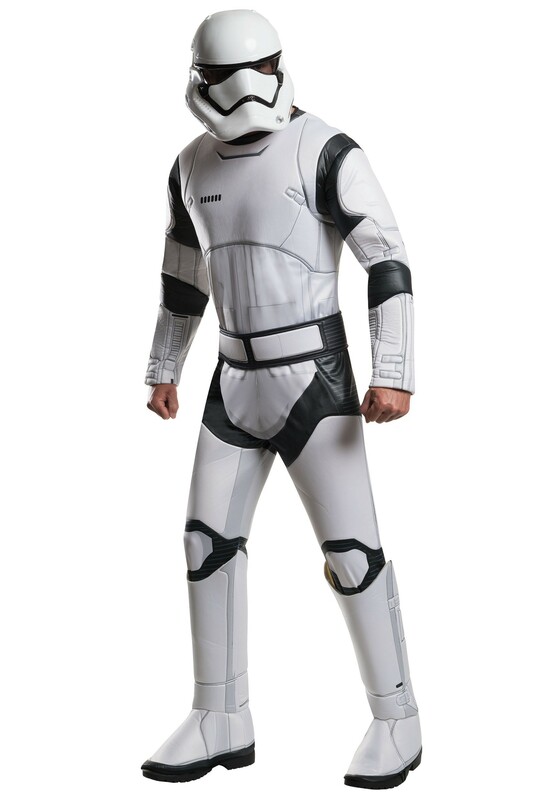 Adult Stormtrooper – Based on the regenerated design for Star Wars: The Force Awakens. The set includes a foam padded jumpsuit with attached boot tops and shoe covers, as well as a cape, belt and a 2 piece mask. Included: jumpsuit with attached boot tops and shoe covers, cape, belt, mask. Sizing: standard. Chest is approximately 36 – 42 inches, waist is 26 – 34 inches. 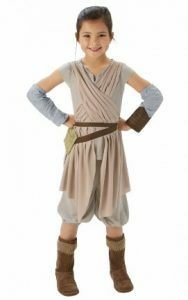 Children’s Leia – An iconic leading female role, this children’s Leia costume is just as inspiring as it will be timeless. Included: tunic, shorts, and gauntlets. Sizing: children’s large. For a child approximately 50 inches in height and with a 22 inch waist – although the costume is adjustable. 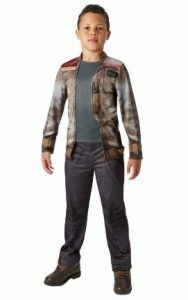 Children’s Luke – One of the protagonists from the new trilogy, this Finn costume is the perfect addition to this bundle. This detailed set captures all the finer points of Finn’s attire since he stepped out of his Stormtrooper armour. Please note: shoes are not included. Included: printed top with mock jacket and trousers. Sizing: children’s large. For a child approximately 50 inches in height and with a 22 inch waist – although the costume is adjustable. Please Note: sizing may vary from the above measurements. Please visit Rubies sizing guide for more information. Who kills Jabba the Hutt?